Wow, what a night! 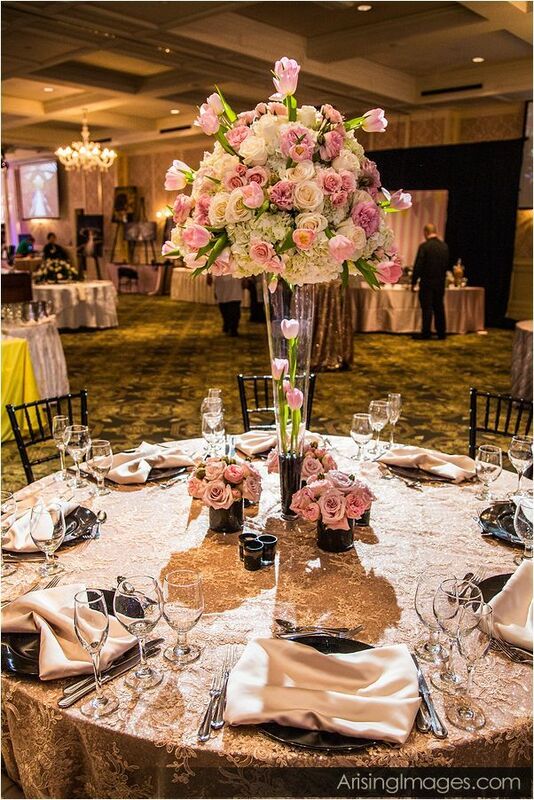 For another year in a row, the team at Luxe Event Linen was invited to be a part of the 9th Annual Ballroom Bliss at Royal Park Hotel in Rochester, MI. 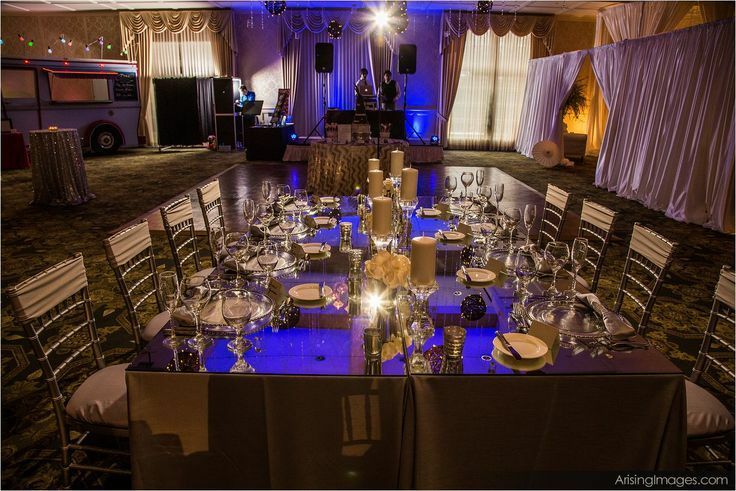 At Ballroom Bliss, the invited guests were able to see, sip, and taste all of the emerging trends in cuisine, decor, and technologies taking place in the Wedding & Event industry for 2015. We designed two tables that showcased two major trends we are seeing in weddings: British Influence with vintage, romantic lace elements and Modern Luxe with sleek, mirrored elements. 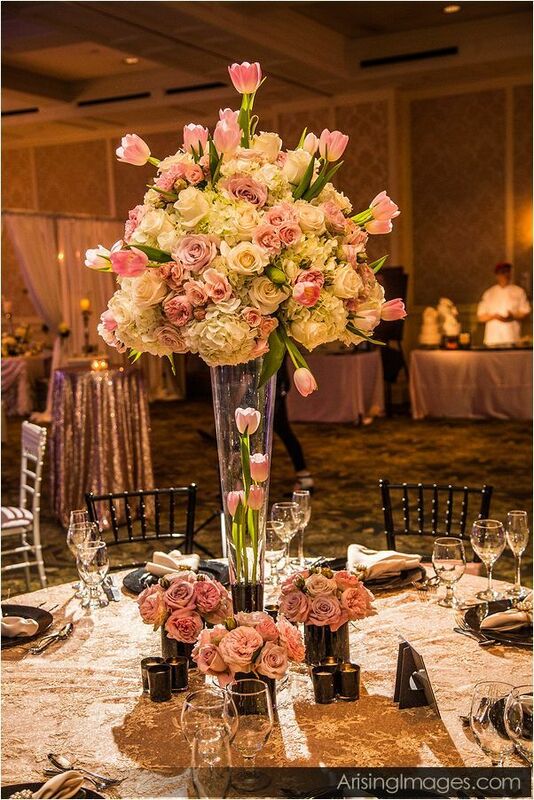 We teamed up with the talented Floral Designs by Lori, who provided the stunning floral of lush garden roses, hydrangea, and delicate tulips for our British Influence table. 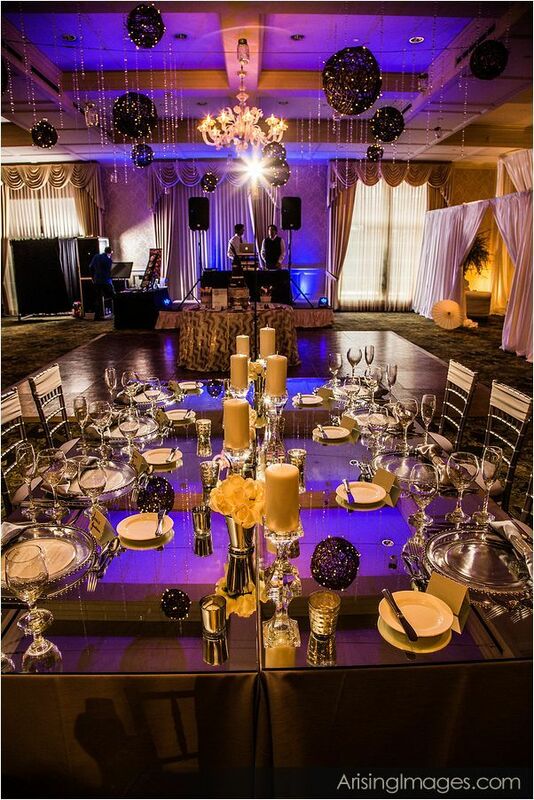 Using dark elements such as Black Resin Chiavari Chairs and Black Acrylic Charger Plates grounds your eye to the table. To achieve an updated version of the vintage lace look, we layered our new Charlotte Lace Overlay on our Champagne Giselle Table Linen. We later added gold pearl encrusted napkin rings to finish the look. The Modern Luxe table showcases our new Luxe Mirrored Tables. 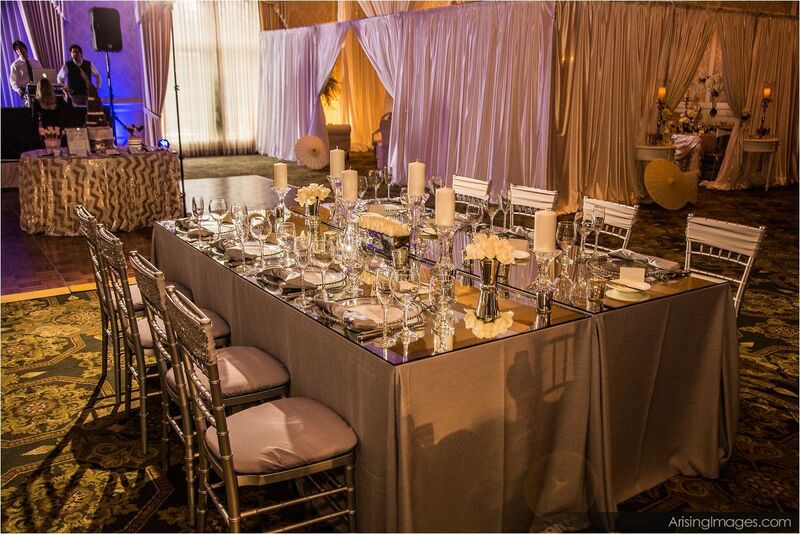 Simplicity done right is ultra sophisticated – and this table design was the hit of the night! 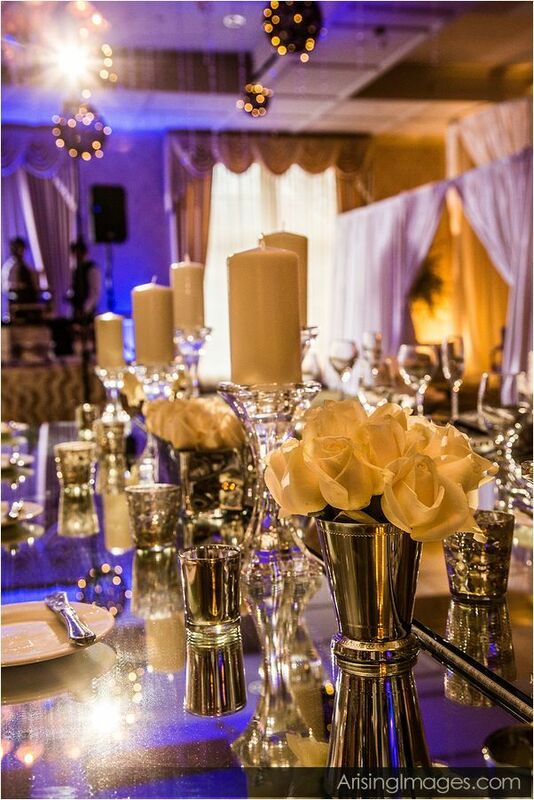 We added a touch of romance with ivory rose hedges amongst soft candlelight in mercury glass and mirrored votive holders. 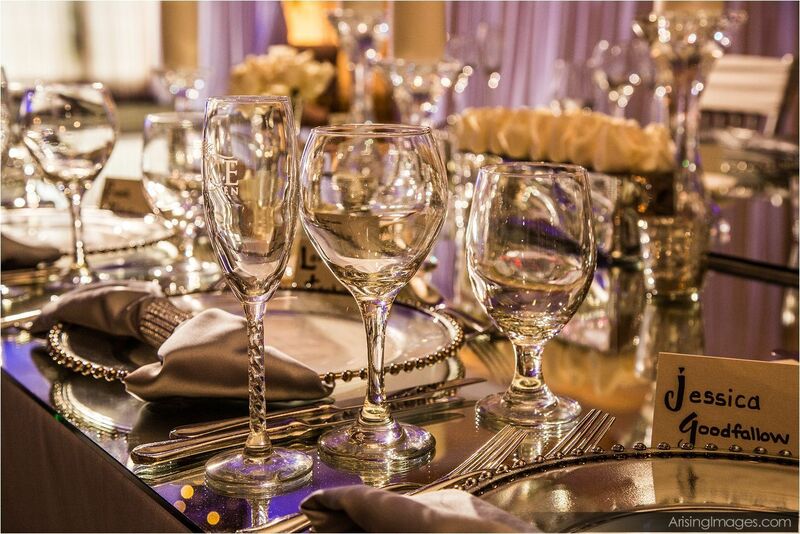 Silver Resin Chiavari Chairs flanked each side of the table with Glass Beaded Chargers, Bling adorned napkins, and round menus at each place setting. All images below are provided courtesy of the very talented team at Arising Images.